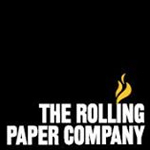 Since 1996, Futurola has been Amsterdam’s leading brand of rolling papers and smoking equipment. Founded by brother and sister Evert & Yvonne Brandenburg, Futurola’s roots date back to 1984 when the siblings opened the popular coffee shop, “Future” near Central Station. The Brandenburgs expanded their family business with the launch of Future Bags in 1989, a wholesale storage bag company, made from sustainable materials, designed specifically to meet the unique needs of the coffee shop industry. Yo Dabba Dabba is a distributor of tools to help you stay concentrated. We offer a variety of titanium nails, dab tools, and accessories. All of our titanium products are tested and guaranteed to be 99.9% Grade 2 quality. 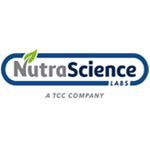 NutraScience Labs’ mission is to set the standard for private label and contract manufacturing in the dietary supplement industry. We accomplish this by providing companies with nutraceutical formulation, highest-quality manufacturing, graphic design, and fulfillment services, delivered with unparalleled customer service. All manufacturing services are completed in facilities that are GMP Certified and we offer the most competitive quote and product turnaround times in the industry.